The small dragon egg is made of concrete and has veins running through it. 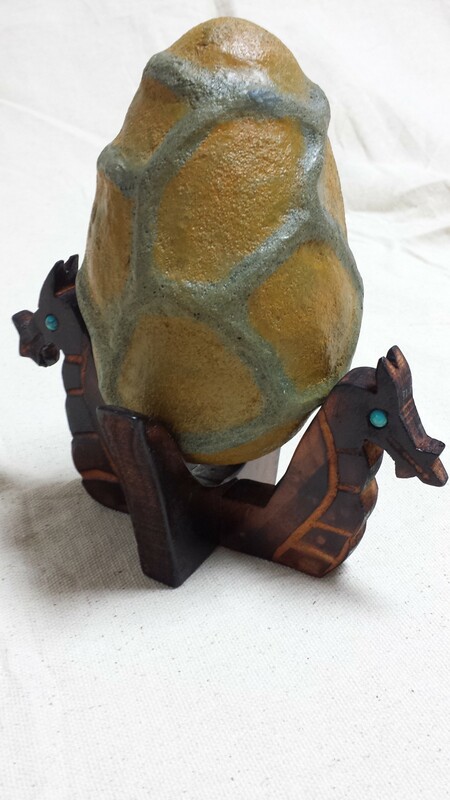 Comes with small Wooden dragon stand with turquoise eyes for display. 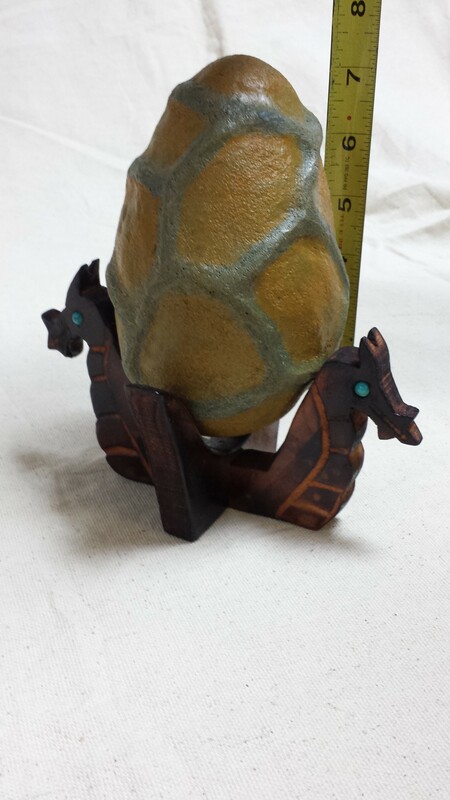 The egg and stand are 8 inches tall. Hand made with concrete and stain by Keptar.